With the Super Bowl fast approaching, and football season soon to end, soon “Deflate Gate” will be a distant memory. The cleats will all be stored, the jerseys will be boxed up and the fields will settle in for winter. Surprising, a high percentage of women will be feeling withdrawal from their Sunday, or Saturday, ritual of rooting their favorite team. Statistics show that 43% of the NFL’s audience is female (although you wouldn’t be able to tell from some recent events), and one-third of “rabid” fans are women. 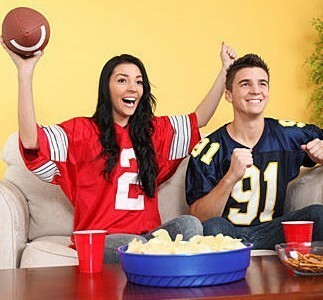 Read on to hear 9 reasons why women tune in to watch football with their man.